Can We Say Goodbye to 12b-1 Mutual Fund Fees? The Security and Exchange Commission (SEC) voted unanimously recently to propose limits on mutual fund 12b-1 fees and provide more transparency to investors. The SEC’s proposal would help protect investors by limiting 12b-1 fees to 0.25%, improve the transparency of fees for investors, encourage retail competition, and revise fund director oversight duties. If you have ever put money into a mutual fund you were most likely charged a 12b-1 fee for every year you had money in that fund. The 12b-1 fee is a marketing or distribution fee on a mutual fund. It’s considered an operational expense currently capped at 1% (some funds charge less) of a fund’s net assets. It may not seem like much but they’re costly, investors payed out about $9.5 billion in just 12b-1 fees last year. Most of these 12b-1 fees go towards paying administrative expenses or the initial commission to a broker for selling a fund’s share and are paid regardless of the funds performance. Currently the SEC estimates that only 2% of the actual 12b-1 fees are used as originally intended for marketing and promotion of mutual funds. That leaves 98% completely unaccounted for due to the lack of transparency in the rules currently. The SEC wants funds to identify and clearly disclose costs to investors through shareholder reports, transaction statements, etc. Basically providing a dollars and cents breakdown of the funds costs for each investor. This certainly is a start but we’ll have to see how watered down the final draft becomes. The best possible outcome would be to completely eliminate the 12b-1 fee entirely. The mutual funds seemed to get by without them prior to 1980 and certainly aren’t currently using the fee as originally intended. The fees most certainly don’t help in any way to improve the research of stocks or bonds for a fund, nor do they improve the performance of the money invested in the fund. Simply put the 12b-1 fees provide no benefit to existing investors and are paid each year whether the fund turns out a gain or a loss. As investors, we can put our money into mutual funds that don’t charge a 12b-1 fee, but that is easier said than done. The majority of mutual funds charge a 12b-1 fee and the few that don’t, may charge other custodial or managerial fees to cover the commission and administrative costs. The best thing we can do as investors is to educate ourselves to fully understand how our money is invested and the costs associated with those investments. We certainly support the SEC’s proposal to limit these fees and certainly hope this is just the first step in eventually removing them entirely. While the critics are certainly lobbying their case, we as investors have the opportunity to do so as well. 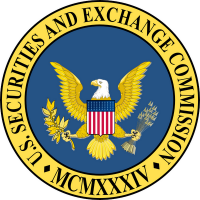 You can share your opinion with the SEC through Nov. 5, 2010, by clicking here.